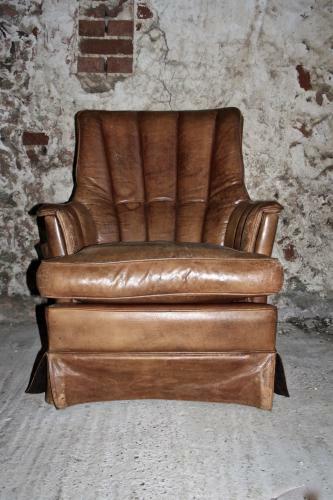 1970's leather chair - good patina and colour and very comfortablew. It is in good condition with no rips. Slight wear on arms and also minor stain which can be seen in the photos. Handy 'pouch' for newspaper/remote control.